Chokers were big in the 90's and they are back! Don't take my word for it, see here and here for more evidence. I've been on the fence about rocking one again. Every time I want to buy one, I hear a voice that says, "You're a mom now and too old". Ha! Anyway enough about my fashion dilemmas. 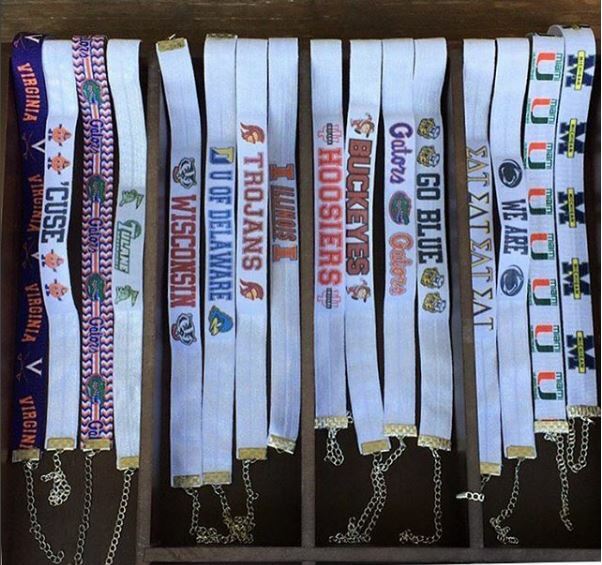 I was super excited and impressed when I saw these gameday chokers on Instagram from My Sisters Spangle. I love when a designer incorporates current trends into collegiate apparel. See more of their products on their feed. If you like the choker trend and want a non-gameday one, I really like this one from BaubleBar!